A brighter future is in your hands. We’re currently seeking an Equipment Operator. The Equipment Operator is responsible for operating heavy equipment in a safe and appropriate manner. Heavy equipment may include trucks, front end loaders, dozers, graders, compactors, trenchers, backhoes, loaders and other pieces of equipment. Equipment Operator must also clean, maintain and secure all equipment as directed by policies and procedures. Operate heavy equipment in a safe and effective manner in order to minimize the risk of injury, property damage or loss of life. Perform daily safety and maintenance check. 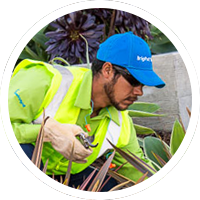 Applicants must be citizens of the U.S.
BrightView Landscape Development is an Equal Opportunity and E-Verify Employer.